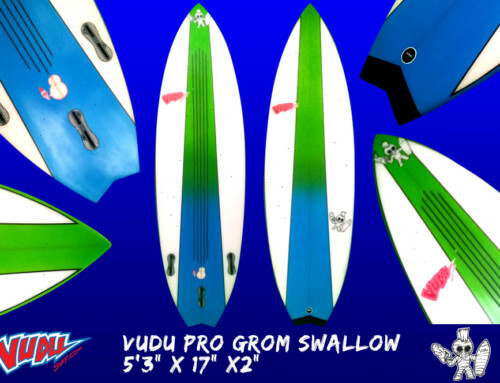 The fuller, wider short board Vudu Dumpy does it all. 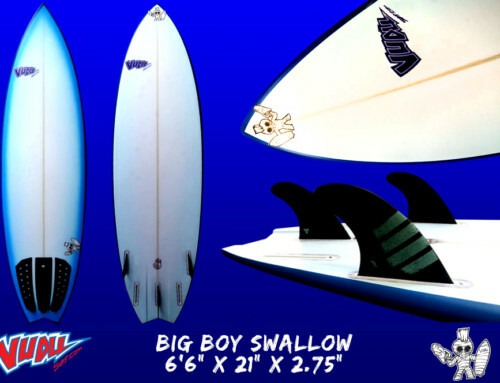 A more “beefy” short board template with a conventional thruster set up. 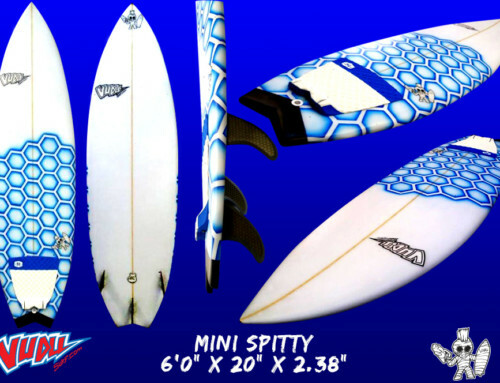 This suits groms of all skills as thanks to the extra fullness of the boards design, it provides that bit of extra volume you need to sustain you through the weaker foamy sections but allow you to still shred when you get that bit of wall. A slightly wider squash tail giving you the extra drive you need to get around crumbling sections then release and throw buckets with every turn. 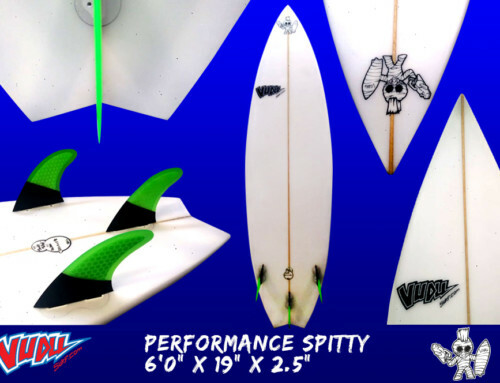 Designed to allow you to get the performance you want in sloppy conditions. 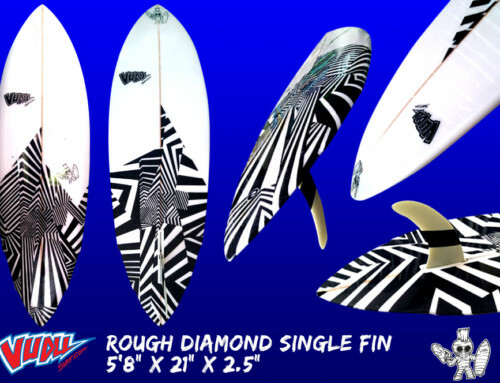 Also a winner as the perfect all rounder for groms of any skill set as the fuller volume foil of the board provides adequate buoyancy to support you even on the small days.